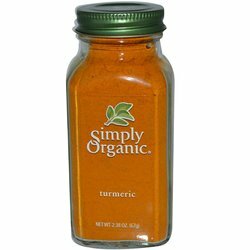 Turmeric is an anti-inflammatory, one of the strongest anti-inflammatory compounds in the world. Science suggests it to be up to 10 times stronger than prednisone. It also relieves pain. It's safe for rats too. Its especially good to use while your rat has a swollen wound, or a myco outbreak and can't breathe. Even for old, sore joints. It is also used to treat and cure cancer. Especially when used in the form of golden paste which increases its strength and absorbency into the body. I still reccomend using myco sensitive antibiotics for myco and vetting or surgery for cancer as well. I am not suggesting you avoid medical help from a licensed professional. Also don't get it on your clothes or surfaces in the house. It stains very, very badly. The dosage and or recipe is already posted in the links provided. As with all herbs there is no exact amount.